‘Look Around You’ was a BBC2 comedy series which parodied vintage schools TV programmes like ‘Experiment’ and shows such as ‘Tomorrow’s World’ which showcased new advances in science and technology. In its heyday, ‘Tomorrow’s World’ featured a number of musical items, famously introducing the Moog Modular in 1969 and KRAFTWERK in 1975. There were later also items on the Fairlight CMI and an in-studio piece with producer Stephen J Lipson demonstrating the Synclavier during an ACT recording session with Claudia Brücken. ‘Look Around You’ and its first series of eight 10-minute shorts was shown in 2002 while a second series of six 30-minute episodes broadcast in 2005. The first programme in Series 2 was entitled ‘Music 2000’ and featured a synth enthusiast named Synthesizer Patel, played by Glaswegian actor Sanjeev Kohli, brother of stand-up comedian Hardeep Singh Kohli. The inventor of the Easitone ‘Play-In-A-Day’ 50, Synthesizer Patel discusses the amazing possibilities of the synthesizer but bemoans its inability to recreate the sound of the bassoon; this was to become a running gag throughout the series. The episode featured a ‘Top of the Pops’ styled introduction, even using Phil Lynott’s 1981 theme tune ‘Yellow Pearl’ for added authenticity to its period set piece. There was also a song contest in the episode where songs for the imagined futureworld such as ‘Machadaynu’, ‘Theoretical Physicist’ and ‘The Rapping Song’ were entered. Sending up the straight laced but almost patronising nature of programmes of that era, ‘Look Around You’ also featured another musical item on the boîte diabolique which was a box at the top of a piano scale that housed “the 19 forbidden notes”. Although Sanjeev Kohli only appeared briefly as Synthesizer Patel, he became a cult figure within the electronic music community. An eyewitness reported that when Kohli went to see Thomas Dolby play a gig at the Glasgow Film Theatre and met the synth pioneer afterwards, Dolby was so excited that he asked to have a photo taken with Kohli! Meanwhile, Hannah Peel and Helen Marnie are among his Twitter followers. 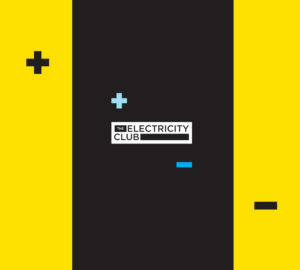 Sanjeev Kohli kindly took time out from a busy schedule to answer a few questions from The Electricity Club about Synthesizer Patel. How was the character conceived? You would have to ask the writers / producers / stars Robert Popper and Peter Serafinowicz. All I know is that they auditioned quite a few people for it, so I was incredibly chuffed to get the part. ‘Look Around You’ Series 1 was outstanding, beautifully observed and wonderfully absurd – in fact I had bought the DVD about a week before I got the call for the audition. I would have called it fate, but I don’t believe in that sh*t.
Were you a fan of synthesizers before this and what synth bands did you like? I do play the keyboards a bit. Very badly. Bruno Martelli ruined synths for many of my generation. I got a Yamaha for my 20th birthday which my kids play on now. And yes it has a bossanova function, which is GREAT for dinner parties. My big hero was Jon Lord from Deep Purple – mainly for his Hammond work, but he unveiled a Moog around 1973. In terms of Synth Bands, I would plump for Depeche Mode, OMD, Kraftwerk and Moroder. And, of course, Giraffe. Word of advice to OMD; if you want to make an impact on the whatever generation, change your name to Orchestral Manoeuvres in the Gark. What inspired Synthesizer Patel’s obsession with bassoons and alarms? Do you actually have a favourite synthesizer? I couldn’t be more of a synth interloper, but I’m going to say the Minimoog. Three oscillators? I think so! Synthesizer Patel only ever appeared on a few occasions. When did you realise he had become a bit of a cult hero? When the band WILCO namechecked him in a song ‘You Never Know’ and then asked me to join them on stage in character at the Royal Festival Hall. Doesn’t get any better than that. They even sourced me a keytar, which keyboard player Mikael Jorgensen ‘Tronned up’ with fluorescent tape. I fired imaginary laser beams from the neck of the keytar into the audience… 90% of whom, I explained to the band, probably had no idea who Synthesiser Patel was and thought I was either care in the community or a genuine alien. What happened when you met Thomas Dolby? Went to see him performing in Glasgow. Great gig. Bought a CD from him in the foyer. A lovely, friendly fella. Naturally he had no idea who I was. Do you think the Synthesizer Patel character could have evolved? What do you think he would be doing in 2014? He would constantly be trying to make futuristic music, but because of the great technological leaps in the last 10 years, he would find this harder and harder. By this point his music would only be futuristic by about a week. He would also still be trying to make gaseous music – an ongoing project – while still gigging in the Bedfordshire area with his band ATTACK SUSTAIN DECAY RELEASE.